As I previously mentioned, I had an opportunity a couple of weeks ago to distill my thoughts on the business benefits of Facebook for an article Julie Sartain was writing for Computerworld. It was a really useful exercise for me, and an opportunity to encapsulate what I’ve learned in the 10 months or so since I first wrote about Facebook Business Uses. You can find many of these thoughts expressed, described and demonstrated in more detail in posts linked to SMUG’s Facebook Business page, in its Facebook category or in the formal Facebook curriculum, but I’m posting my full essay here. From telephones on each salesperson’s desk to fax machines in every work unit to the hundreds of millions of workplace personal computers connected to the Internet, U.S. business leaders have invested incalculable billions of dollars over the last several decades to connect their employees with the outside world and with each other. They’ve justified these investments because of increased productivity and greater organizational agility. 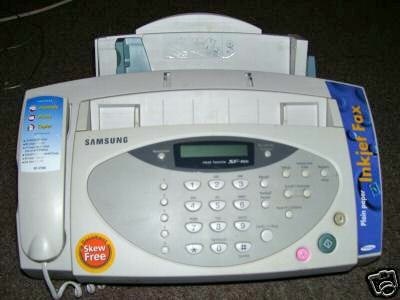 In 1990, for example, being able to receive customer purchase orders by fax instead of via FedEx or local courier was a huge advance, well worth several hundred dollars for the device purchase and the monthly charges for the requisite extra phone line. And if AT&T had offered its business customers a free fax machine and dedicated phone line, can you imagine anyone declining? Social networking sites like Facebook are a much more profound communications phenomenon than the fax, and Facebook’s functionality far surpasses the transmission of black-and-white document images. Yet not only are many businesses failing to take advantage of the free communication services Facebook provides: some actively block their employees from accessing it from their workstations. What’s wrong with this facsimile? Can you even conceive that business owners and managers would not only reject the mythical free fax offering, but would call security to have the AT&T representative escorted from the premises? Many managers misperceive Facebook, and therefore fail to appreciate its benefits. I’ve listed some practical Facebook business uses below. While every category won’t apply to every business, if you can’t find some way to profitably leverage a free communications network that has more than 70 million active members, your main business problem is likely lack of creative thinking and vision. Directory Listing: You can establish a free “fan” page for your business or organization in Facebook, complete with links to your Web site, photos, videos and contact information to key employees or salespeople. It’s like a supercharged multimedia white pages listing in a telephone directory. 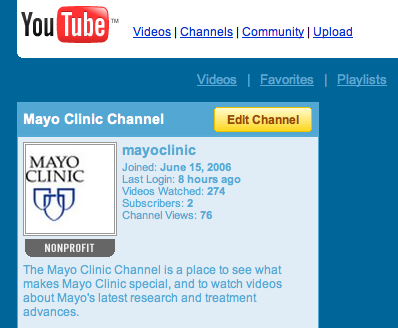 Here’s the Mayo Clinic Facebook fan page. Word-of-Mouth Catalyst: When people become a “fan” of your organization, or when they write on your wall, it shows up on their Facebook profile and in their friends’ news feeds. Collaboration Networks: Facebook allows you to form an unlimited number of free groups. They can be open to anyone, closed (you must invite or approve new members) or even secret (their existence doesn’t show up on your profile.) The latter two types could enable your employees to collaborate with each other and with external vendors or agencies, without providing them VPN access behind your corporate firewall. Free Intranet: Speaking of corporate firewalls, if you run a small business, Facebook could be your intranet, through a secret or closed group. You can post important updates from leadership, invite discussion and even use Facebook Chat for instant messaging, without any expense or IT support. Each work team or unit within your company could have its own secret Facebook group for collaboration. What about data security? Let’s face it: you probably have a hard enough time getting your employees to pay attention to your corporate priorities. Do you really think it’s likely your competitors will A) Find out that you have a secret Facebook group, B) Have the technical sophistication to engage in strategic espionage, and C) Effectively share the information from your secret group with their employees to put you at a significant competitive disadvantage? Don’t use Facebook to store your bank account or credit card numbers or other information that could have serious legal ramifications if released, but understand this: most of your corporate information just isn’t all that interesting. Focus Groups: Groups also let you invite current or potential customers or clients to interact with you and share feedback on your products and services. You can bring them together without travel expense or schedule coordination, and your group can be much larger than what can be managed behind the one-way mirror of a focus group. The Non-Free Bonus: With 85 percent of college students having profiles, Facebook ads could be a great tool for employee recruitment. You can target pay-per-click ads to students at particular schools, with specific college majors and to undergrads or those who already have their degrees, with a link to a Facebook group or your recruiting site. The extra bonus is that by showing openness to social tools like Facebook that are part of how today’s students interact, you’re more likely to be perceived as a desirable place to work. I’m not advocating diving into Facebook without first thinking exactly what you hope to accomplish, and whether Facebook is the right fit. But given its power (and the new privacy settings, demonstrated in Facebook 210, which enable separation of personal and professional networking), the burden of proof in the discussion should be on those who oppose its use. What do you think? 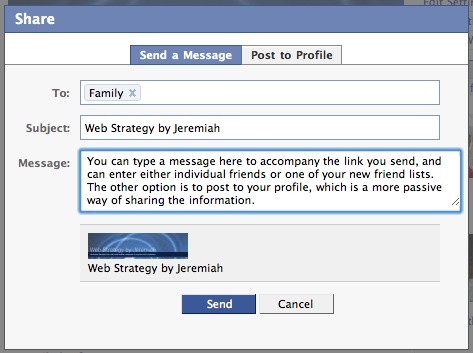 What other practical uses for Facebook have you found? I’d love to hear your stories. And if you disagree with anything I’ve said, I’d be glad to hear your reasons. Our luncheon speaker is Mike Moran from IBM, author of Do it Wrong Quickly: How the Web Changes the Old Marketing Rules. Mike opened with the great point that what we need to have the freedom to dip our toes into Social Media, and sip from a glass instead of drinking from the fire hose like Robert Scoble. We need to experiment and try things, becoming expert in what works for our employers and clients. Realize that most of what you do will fail, but that’s OK. Fail faster. It’s just as important to pay attention as it is to get attention. I’m attending the Bulldog Reporter Media Relations 2008 Summit at the Westin St. Francis in San Francisco today and tomorrow, and tomorrow I will be part of a panel about using Facebook, LinkedIn and other social networks. Our focus is particularly on media relations applications, but I’m sure that some of our participants will be relatively new to social networking sites, so we’ll touch on some other uses for social networking sites, too. Thanks to Critical Mention, I believe we will have wireless internet in the meeting rooms, so I’ll be live blogging as many of the sessions as I can. One way I like to do this at conferences is by setting up Facebook groups, so attendees can experience social networking first hand, without leaping in and setting up a brand “fan” page. So I’ve set up a Bulldog Reporter Media Relations Summit 2008 Facebook group. This will be an opportunity for attendees and exhibitors to continue their networking after the summit is over. I’m less experienced a live-Tweeting through Twitter, but will be using the hash tag #mr2008 for my Tweets. For more information on hash tags, see this fan wiki. I also understand I can get live updates from other Tweeters by using track mr2008 (provided any others use that same tag.) If I find out that others are live blogging or Tweeting and using other tags, I’ll post those, too. The conference agenda looks great, with continental breakfast starting in about five minutes. Time to grab some coffee!